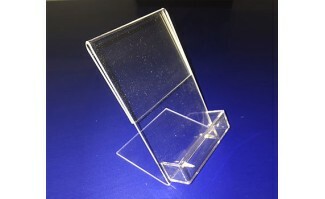 Our acrylic gift card display accommodates your printed sheet to insert your message, or a white acrylic back to display your cards. The gift card pocket is 3.5" wide x 1" tall. We can also do printing or custom sizes. Made in the USA.